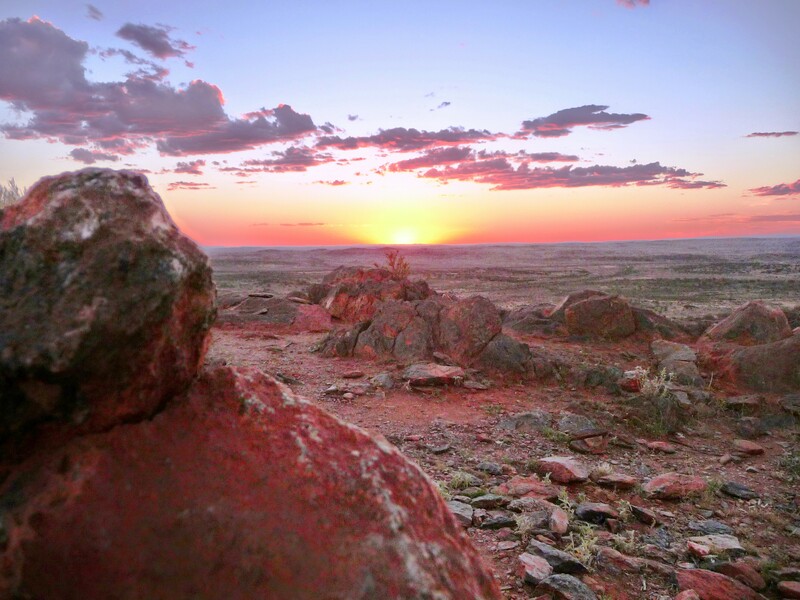 I took this photo on a remote cattle station in the pastoral country between Broken Hill and Wilcannia, far west New South Wales. The bright little flowers are such a stark contrast to the red dirt in this semi-arid part of Australia. 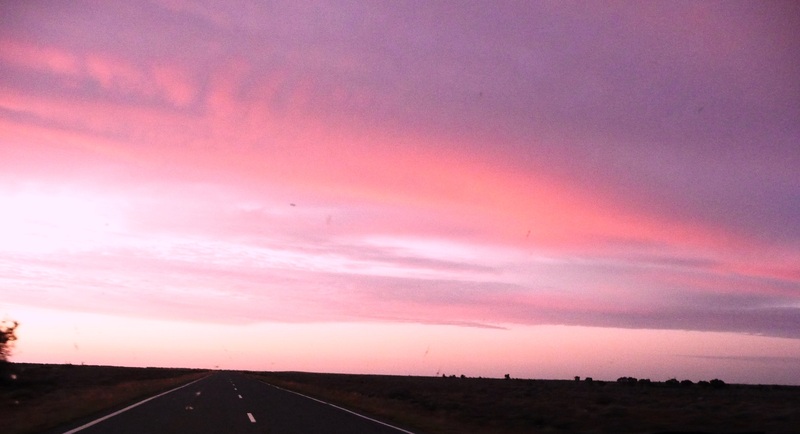 It’s one of the reasons I’m so fascinated with Australia and using it as inspiration for my writing. It opens up so many possibilities for worldbuilding and unique settings in fantasy fiction – I feel so lucky that I’m in a position to explore it. So, please share with me, what inspires you? If you write, where do you get ideas for your stories and settings? 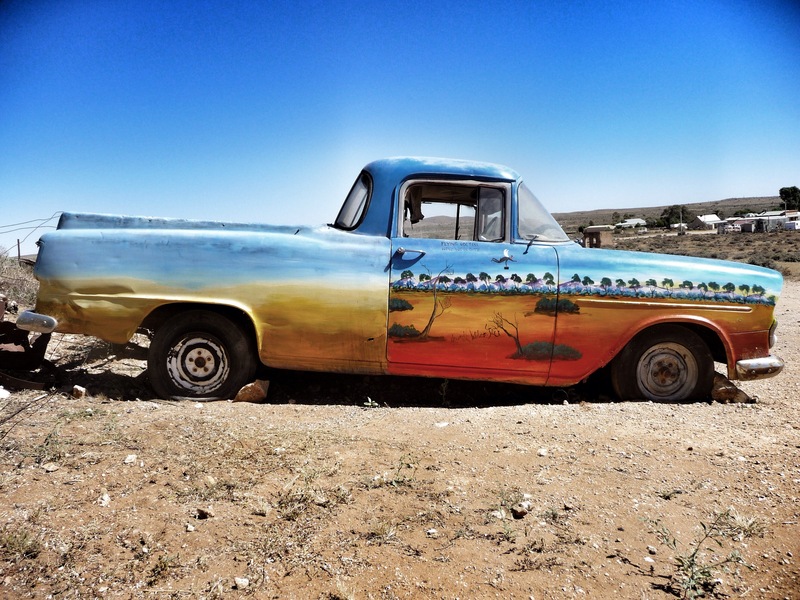 This Holden utility, painted by Howard Steer, sits in Silverton, a tiny town near Broken Hill, New South Wales. Silverton is famous for providing the setting for a long list of movies and advertisements, but is probably best known as the place where Mad Max 2 was filmed. 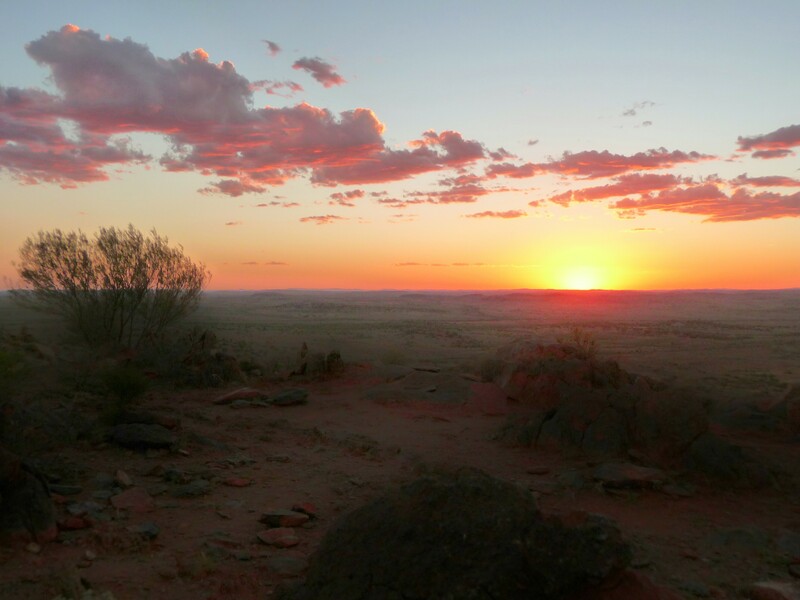 I recently witnessed the most amazing sunset in the Barrier Ranges near Broken Hill. It’s easy to see why so many artists, including Pro Hart, have been inspired by the incredible colours of this landscape. 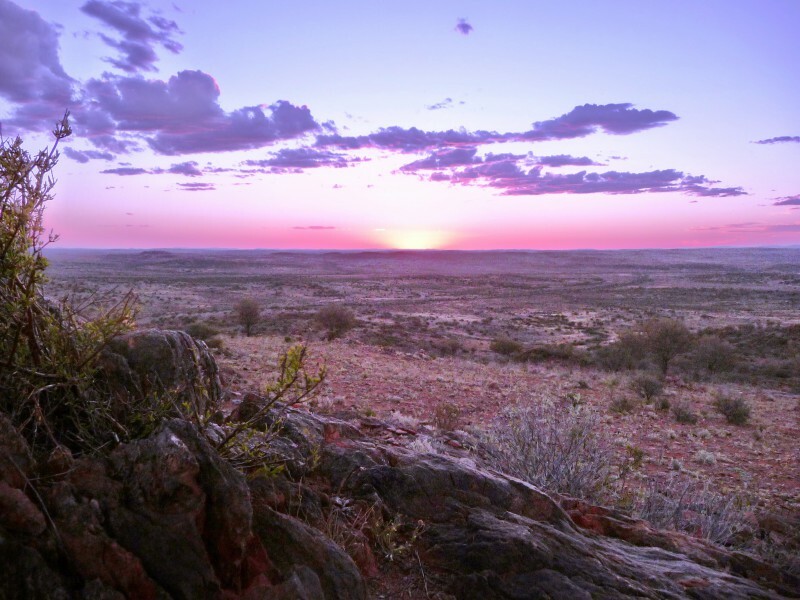 The Living Desert Reserve includes a Flora and Fauna Sanctuary, which is surrounded by a predator-proof fence. The Sanctuary has been set up to preserve the plants and animals in the reserve, and the Aboriginal heritage of the area.